The Weis Australian Mango Sorbet isn’t a favourite by chance. Lots and lots of real mangoes are used in the recipe for this delicious sorbet! And not just any old mango, we use only Kensington Pride mangoes, perfectly ripened under the Australian sun. 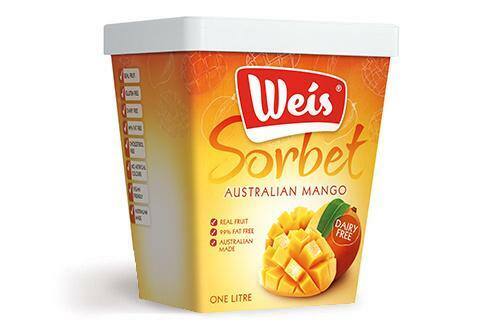 That’s why the Weis Australian Mango Sorbet has a deliciously refreshing, yet creamy taste that is sure to have you going back for more. Tubs with a Best Before date of 12 April 2018 or later are suitable for vegans.